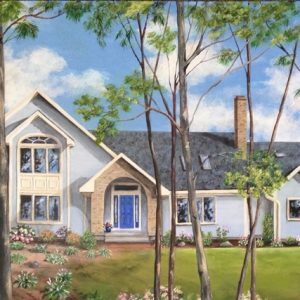 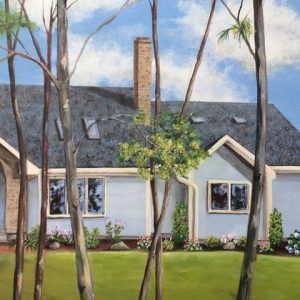 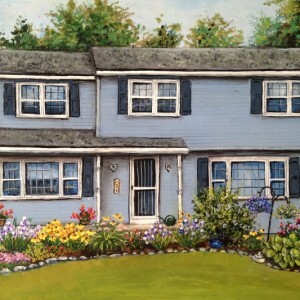 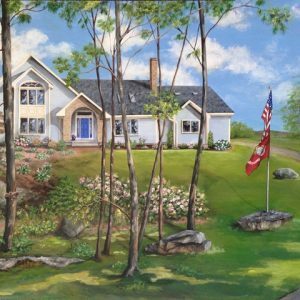 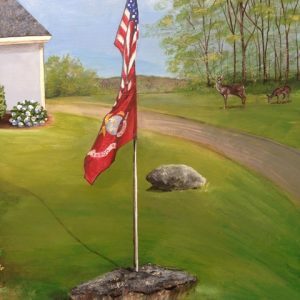 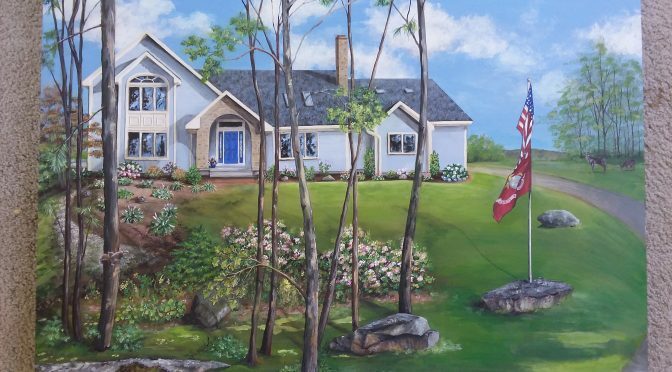 The owners of this lovely blue Colonial home commissioned this portrait of their home when they knew they would be moving. 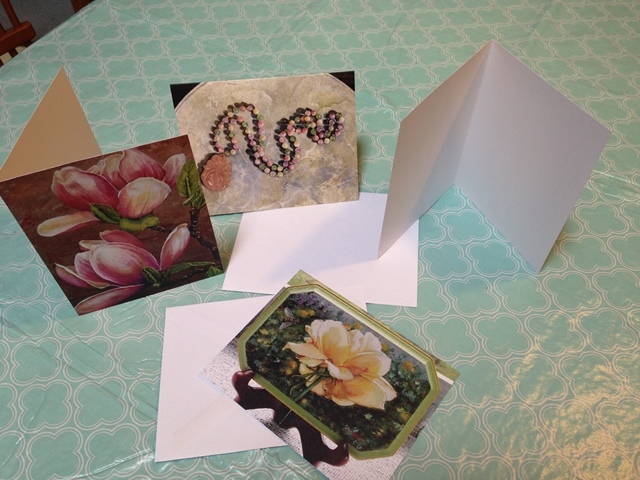 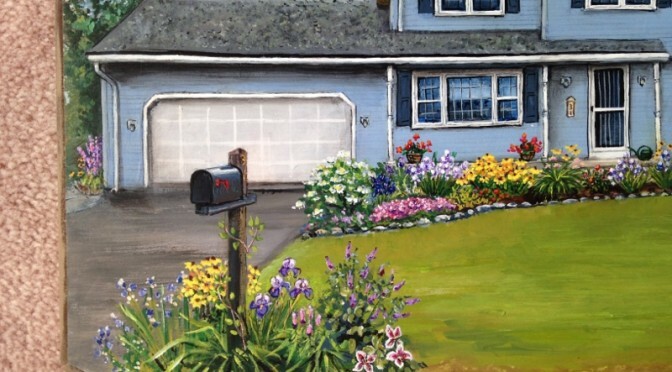 I photographed it a few times last summer to catch all the beautiful flowers and then used my artistic license to put them all in bloom together. 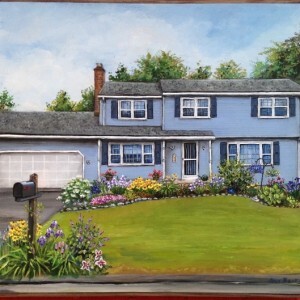 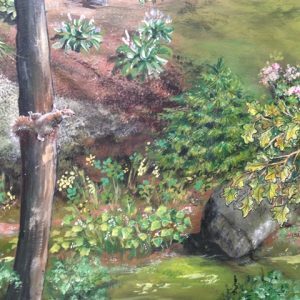 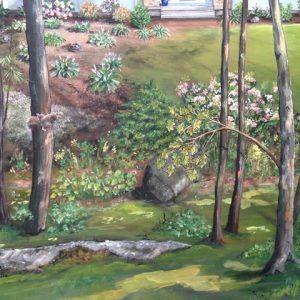 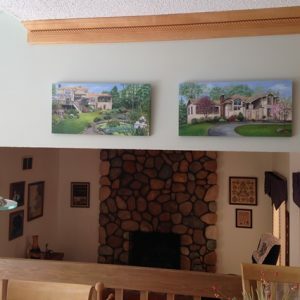 The piece is painted on a wooden plaque 14″X10″ and is only a little larger in scale than the miniature three dimensional houses I painted exclusively for many years. 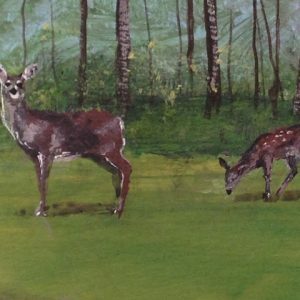 This was like old times for me and I loved doing it. 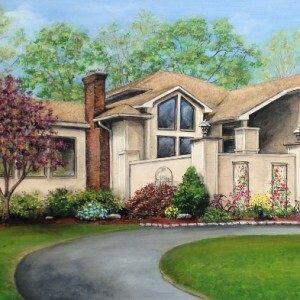 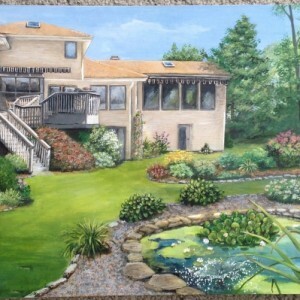 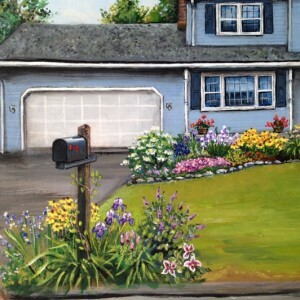 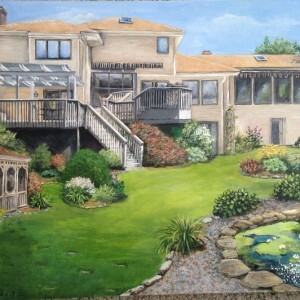 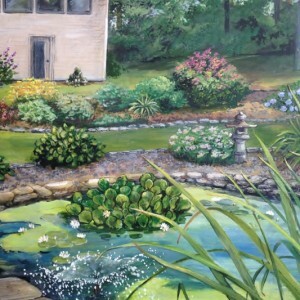 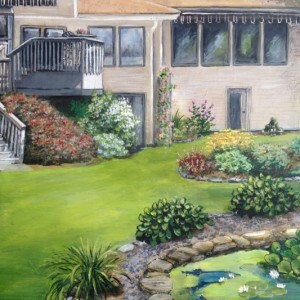 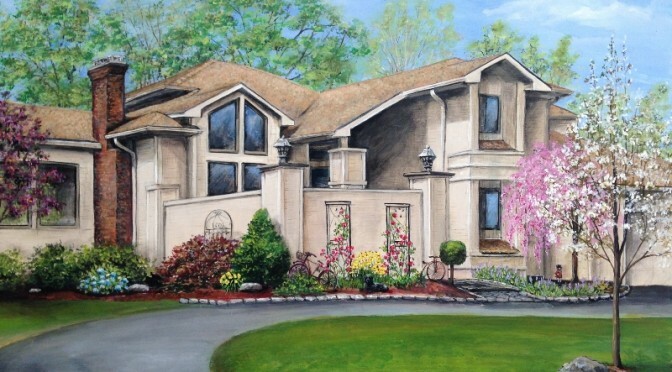 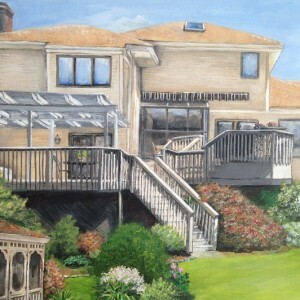 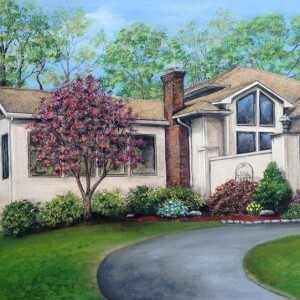 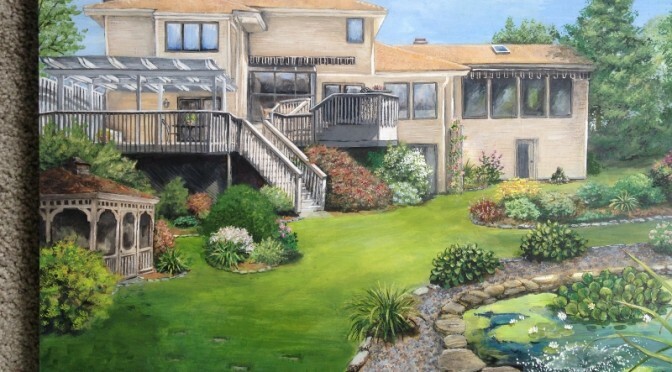 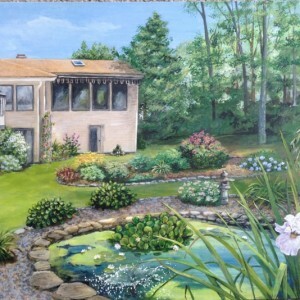 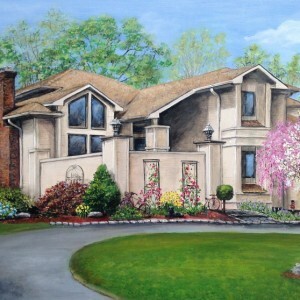 If you are interested in having a portrait done of your home please contact me.